Publishers don't decide which books they're going to publish while sitting alone in a dark room with one little lamp burning. It's not a secretive process and it's not just a matter of a singular person's whims or personal tastes. Rather, this initial step in the traditional publishing process -- where a book is chosen for print and its author receives an advance -- is collaborative and driven by business decisions -- hopefully smart ones. At Kensington Publishing, books are chosen for publication in an Editorial Board Meeting. At these weekly meetings, which generally last about 1.5 hours, the entire boardroom is packed to the limits. Sitting in the 20 or so seats around the long conference table are the dozen editors, editorial assistants and interns, and then members from other departments, including the Publicity Director, Marketing Director, e-Book Director, a National Accounts Sales Director and other top management, as well as our Publisher and myself. The purpose of the meeting is to discuss books that have recently been acquired, as well as for the editors to pitch the books that they would like to acquire from the new material they've reviewed. At Kensington, editors can pitch any type of book that they like and they're not restricted to acquiring books for specific imprints. In preparation for each meeting, the editors have spent weeks reading manuscripts that have come in from agents, option material from current authors, and even unsolicited manuscripts that are pulled from the so-called "slush" pile. In addition to all of this reading, a lot of background homework often takes place before the editors present the new material that they want to acquire. The editors could be researching past sales from a previously published author on Bookscan, the service by Nielsen, which captures point of sale information from the bulk of the major retailers. They could also be reviewing sales information supplied to them by the literary agent representing the author or even looking at sales provided by a self-published author who previously was only sold digitally. If the author has been previously published, we will often run a profit and loss analysis (P&L), based on the sales information we can obtain from Bookscan or specific accounts. We may also base a P&L on a similar type of book that we've published in the past. Whether or not we go through this P&L process usually depends on the level of the advance that the agent or author might be expecting. The P&L process involves an intricate spreadsheet analysis where we estimate gross distribution and projected final sales by the few remaining large accounts. These numbers are plotted against the variable costs of manufacturing and marketing a book. Those costs include printing, freight, warehousing, royalties, publicity and promotion, cooperative advertising and our overhead. The figures are basically just estimates to see if the advance we would pay to acquire this book makes financial sense when compared to what we hope to sell. If we're looking at acquiring a major author, there would most likely be a meeting with the agent (and possibly the author) to discuss how we would work together to build this author going forward. We would talk about our ideas for how to promote the author through traditional means as well as through social media. We'd also discuss what is the right format in which we should publish the book -- hardcover, trade paper or mass market -- and at what price. 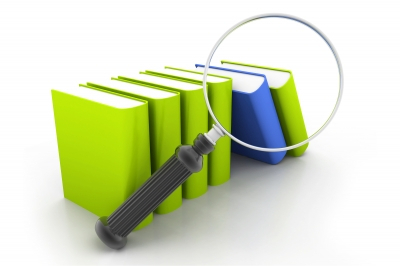 Obviously, the higher the cost of acquiring the book, the more in-depth analysis we perform. The problem with the P&L process is that it is just an estimate. We don't know what we're actually going to be able to get accounts to buy. You can't just go into an account and say, "I want you to take 10,000 copies of this book because that's what I put in the P&L." Nor can you really predict how many copies will actually end up selling over the life of the book. Remember that books are primarily sold on a returnable basis. For most paperback books, all the account has to do is remove the front cover and send it back for full credit against their invoice. This process could happen a month after the book comes out or five years later, but the success of a book is generally determined by the sales from the accounts in the first eight weeks of its life. Of course, there are a great many titles that don't sell all that well during the first eight weeks, but go on to have great sales over the lifetime of the book. For some reason it just takes them longer to build and gain traction in the marketplace. However, the eight-week sell-thru often determines how many copies the accounts will buy on the next book by this author, since the account doesn't want to hold onto any inventory that they don't think they can turnover quickly enough. They would rather the publisher hold onto the inventory or have the publisher reprint the title as needed. Once we've looked at the numbers and done all of the analysis that we can, we discuss what platform the author might have available to promote their book. We then come up with an offer for the author or agent. In most cases when considering fiction, publishers want to acquire at least two or three books from an author so we can have a chance to build their brand and popularity. The rapid rise of e-books has totally changed the traditional business model because e-book sales are non-returnable and therefore are far more profitable, although they sell at a much lower price. The e-book royalty also is substantially higher than the printed book royalty rate. We have to add all these factors together to come up with an offer that will hopefully make sense for the publisher and for the author. The editor will then take our offer to the agent or publisher and present it to them in hopes that we can come to terms on a publishing deal. There are often negotiations for royalty rates and subsidiary rights such as foreign language sales, large print, audio rights, etc. Once the offer has been presented, we sit back and wait for a short period of time to see if the author/agent is going to accept it or shop it around to the other publishers. Hopefully we make a strong enough case to show them why it's the smart decision for that author to come to us. The publishing business is a very cash intensive business in terms of how long it takes to get a return on the initial investment. Once we make an offer for a multi-book contract and it's been accepted, the publisher has to put down an agreed upon percentage of the total value of that contract to be paid on the signing of the agreement. This is despite the fact that the author might take a year to complete the manuscript and it might take the publisher another year to publish the book. Sometimes it can come down to trying to minimize your losses while working to build an author over a long period of time. It's a fairly easy process to come up with a reasonable offer to present but it can become an extremely complicated effort to make sure that we hit our sales and cost assumptions for the profit and loss model. Nobody can ever claim that publishing is an easy business or high margin enterprise.